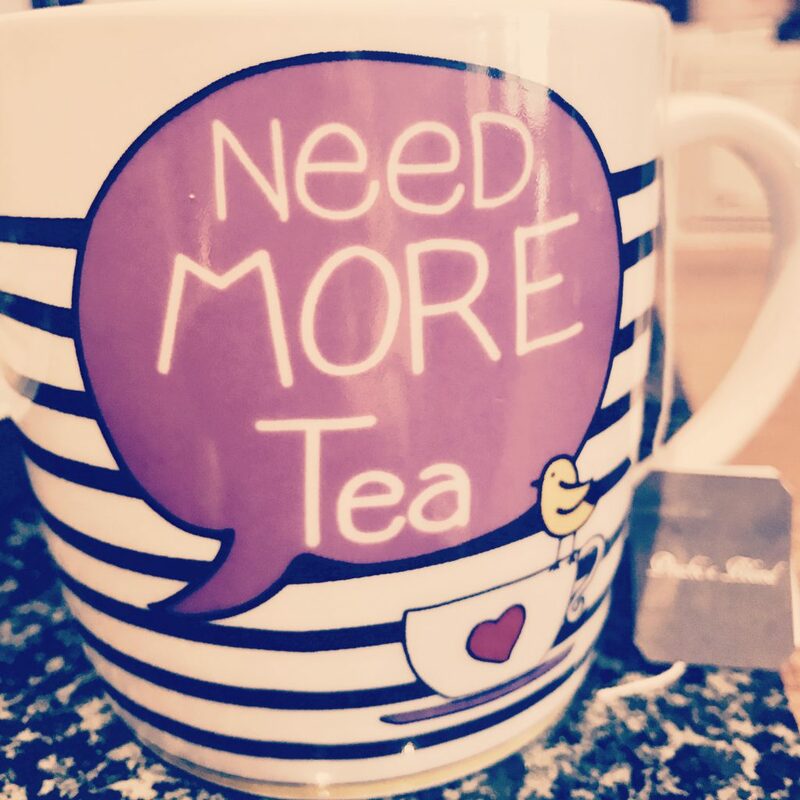 A new tea adventure every month – and never run out of tea! 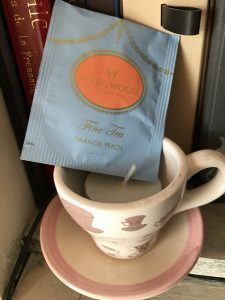 This second part of Tea Adventures with Rachael in the run up to #nationalteaday focuses on some of the fantastic tea subscription boxes I’ve had the pleasure of trying over the past few months. Whether you want to try loose leaf and herbal blends from some of the best tea people across the UK, to trying unusual and different handpicked blends, to the convenience of a massive selection of high quality tea bags each month, there’s something to suit everyone and every tea taste. Tea-rrific! I was recently introduced to the lovely people at Varietea, a tea subscription box with a difference. Varietea bring together a wide range of different types of tea from top notch tea providers, with some well-known names like Clipper, Whittard of Chelsea, Basilur, Kandula and Birt & Tang, featuring in their impressive selection of 30 teas each month. By combining the convenience of teabags with such a broad variety of teas, they successfully bring an element of tea adventure to the everyday. 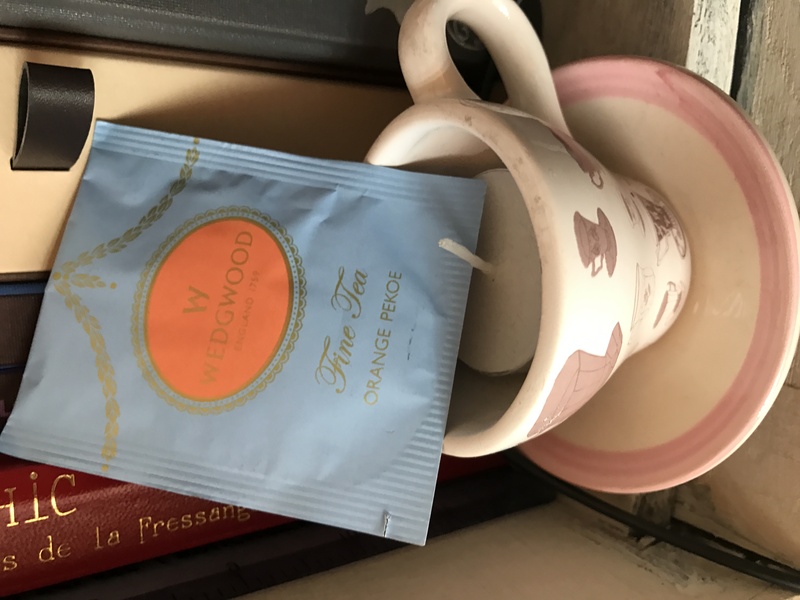 I was very excited to find a Wedgwood tea in the box – not something you see every day! Perfect to brighten up your working day by trying lots of different teas! 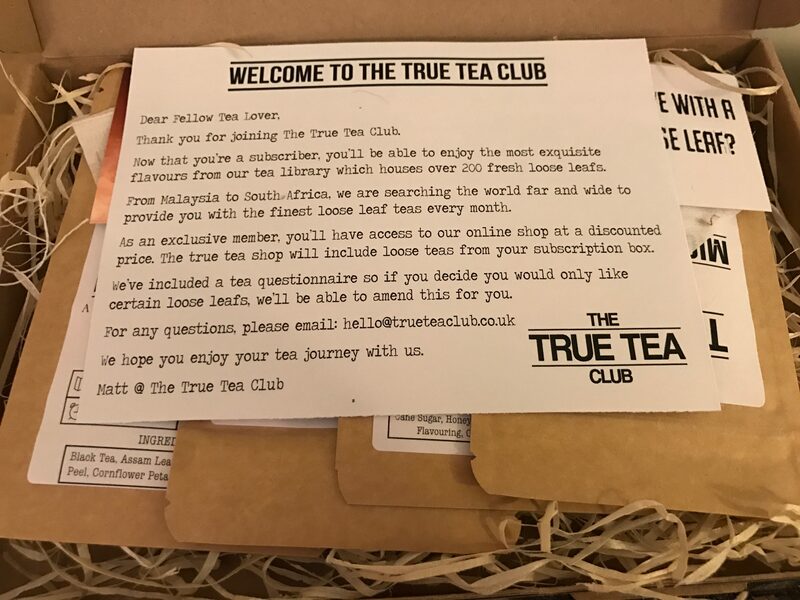 I was also recently introduced to the lovely Matt at the True Tea Club, a loose leaf tea subscription company based in York, delivering loose leaf tea boxes in the UK and internationally. They specialise in white, green, oolong, chai, rooibos and herbal teas. 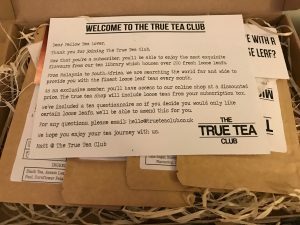 each box includes handy drawstring teabags to use with your loose leaf teas, as well as brewing and tasting notes and your own personal membership card to tailor your tea preferences. A very thoughtful and inspiring company – once again, created by tea lovers, for tea lovers. 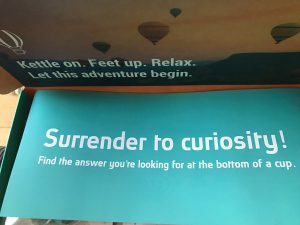 I particularly enjoyed the exceptional Earl Grey and vanilla rooibos blends I tried in my taster box – highly recommended. 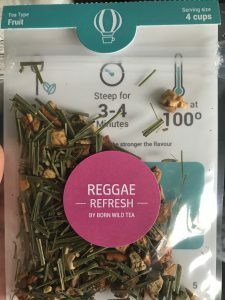 I’ve shared some of the Tea Tourist blends before, and they continue to surprise and delight with new suggestions for loose leaf tea adventures. The highlight of last month’s selection box was a Chocolate Orange Blend from Nelson & Norfolk Tea Co., which was a standout treat for me – and one I had to wait until April to savour, as I was doing my Dechox for the British Heart Foundation throughout March and didn’t want to cheat! It was worth the wait! Tea with Rachael readers can get 30% off the price of their first subscription box with Tea Tourist when they start any subscription – simply use code ‘TEAWITHRACHAEL30’ at checkout. There is no expiry date and subscriptions can be paused or cancelled anytime to suit you. In part three of my tea adventures, I will be sharing with you some of the tasty tea treats I’ve enjoyed in the countdown to National Tea Day. Enjoy this special day and I hope you enjoy lots and lots of good tea – not just on National Tea Day, but every day! 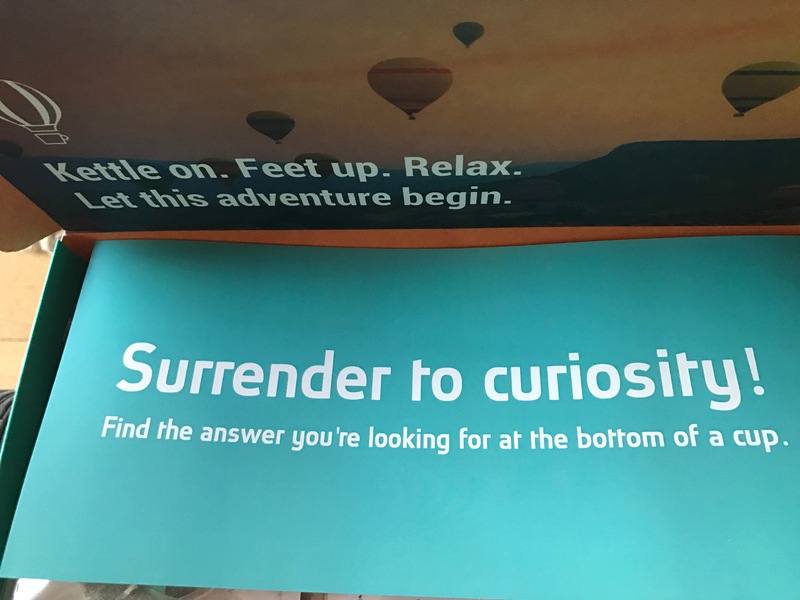 I know I will! In the time when I have been out and about, I’ve been very excited to wear my new, sparkly and oh-so-shiny shoes from 18 Hour Heels from Shoes by Shaherazad. These beauties are customisable with their sparkly “shoellery” and perfectly at home either in the office or out on the town! 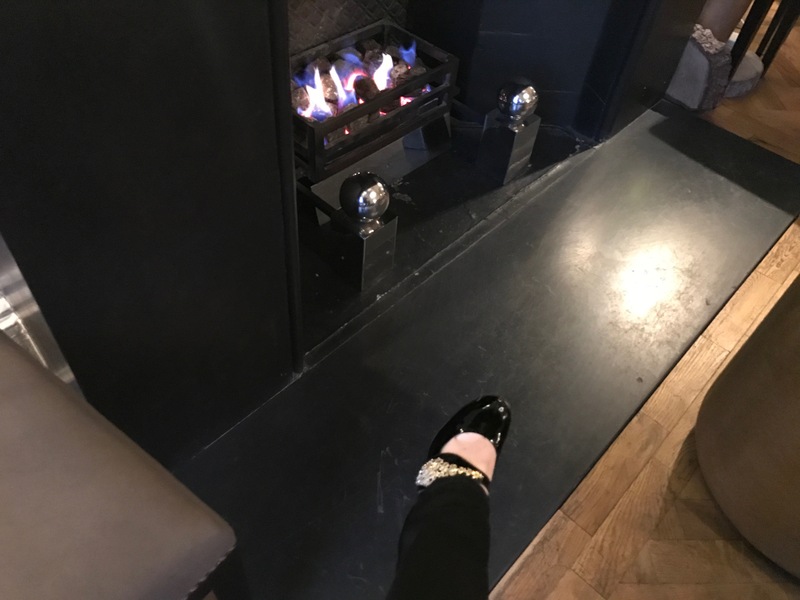 The heels look fabulous – attracting many a compliment and “oohs and ahhhs” from my colleagues – and these sparklers go with pretty much everything in my wardrobe, so I decided to experiment to see if they really were comfy enough to wear all day and all night, if needed! I wore them for my Grandma’s 86th birthday celebrations up North in February, getting my “dancing shoes” on with my mum and grandma to watch Anton and Erin perform at the Liverpool Philharmonic! I wore them all day and night for my special birthday day out, which involved shopping, afternoon tea at the Ham Yard Hotel, more shopping, cocktails and a delicious dinner at The Ivy. 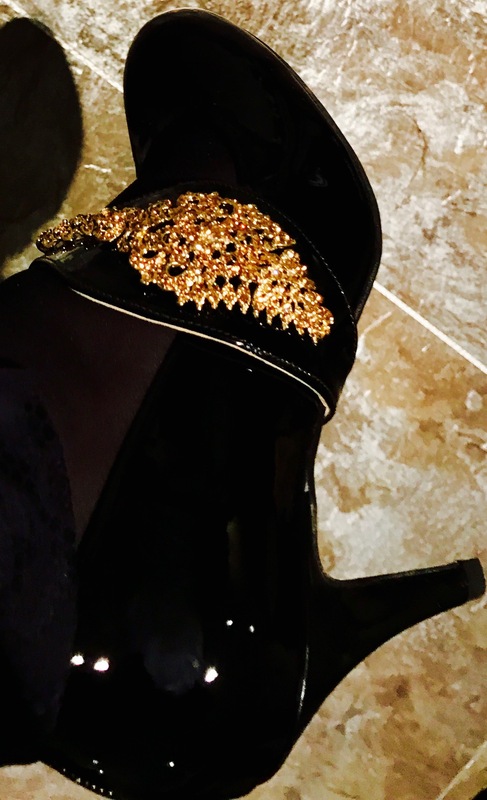 I also wore my fabulous heels to birthday parties for both my sister in law and a good friend; again, very comfy to wear on the journey into the West End, throughout the evening and on the journey home. Admittedly, suffering from PoTS, I don’t stand up too much, but still do a lot of walking around and still have a 15 minute walk to my train each morning and evening on my way to and from the office and from any train back from Waterloo after being in Central London. Add that to a day in the office and anything after work, or before and after a night out, and you’re on your feet for more than you think! 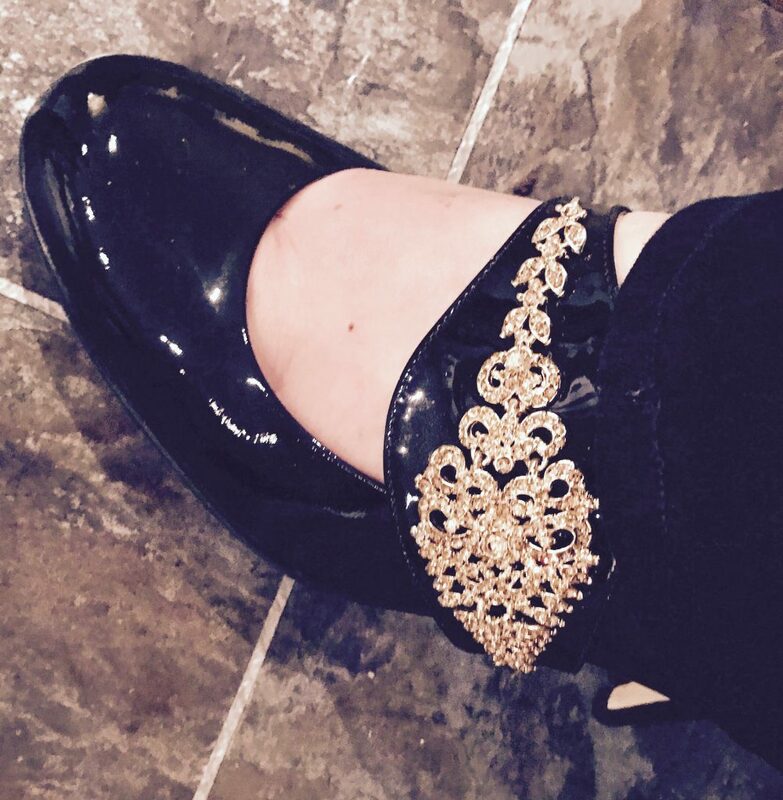 These shoes made me feel confident and fabulous, ready to take on anything that is thrown at me (uneven pavements, busy commute, crazy work days, you name it…!) Knowing that these shoes contribute to excellent women’s causes makes them all the more special to me. Being genuinely comfortable and beautifully crafted in the UK, whilst still undeniably stylish, makes them my top choice. But there’s much more to them than that. These are shoes with a conscience, designed to make a difference to the lives of women around the world. With 500 women helped so far and counting, the company aims to empower women globally and support women’s charities with every sale, through their partnership with Global Giving UK. 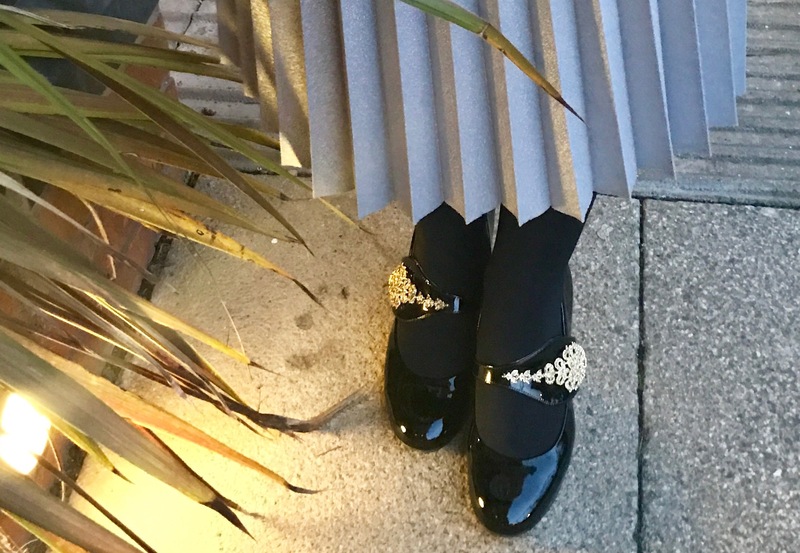 Global Giving UK’s CEO, Eleanor Harrison, recently wore her shoes like mine (the appropriately named style, “Dream then Do”) to receive her OBE – what could be more fabulous or more inspiring than that?! Please do take the time to check out Shoes by Shaherazad and the great work this company and its hardworking founder, Shaherazad Umbreen, are doing. What a fantastic enterprise! 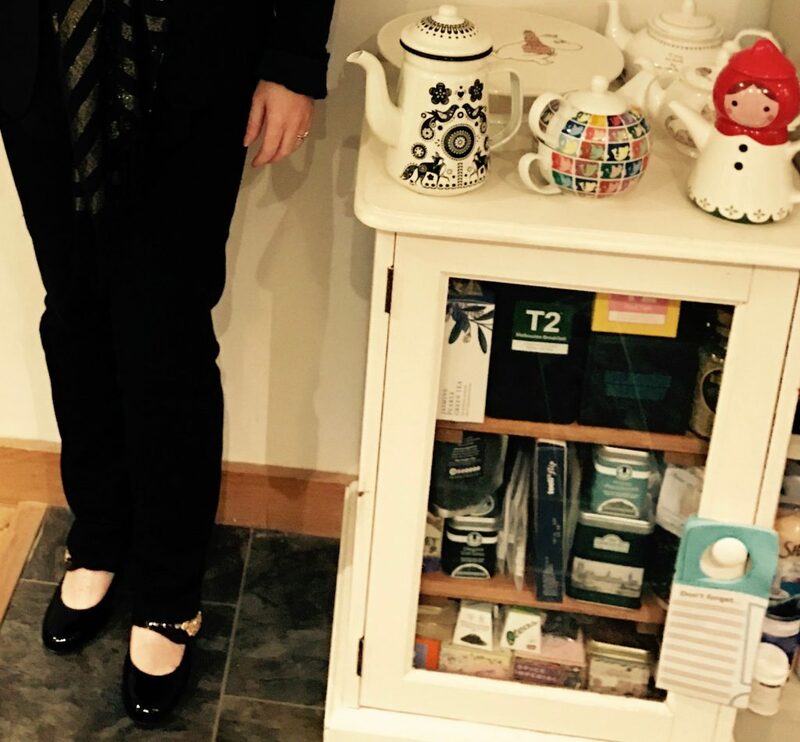 Shoes and tea – a winning combination! In between stepping out and a much needed rest, I’ve been very lucky to try a huge number of fantastic teas – more on each and every one soon, but in the meantime, check out your exclusive Tea with Rachael discount of 30% off your first tea subscription box from the lovely people at Tea Tourist – just enter TEAWITHRACHAEL30 at checkout. More great offers to follow soon, too – enjoy! It’s given me time to try some really wonderful teas, and I’m going to share each of them with you over the coming weeks. A huge thank you to all the lovely people at Teakruthi, Varietea, Tea Tourist, The True Tea Club, Ahmad Tea, Whittard of Chelsea, Tetley and My Cup of Tea for my fantastic teas – trying your teas over the past few weeks has made me really happy, and I’m really looking forward to sharing my thoughts and recommendations. I’ve also had some lovely birthday presents, including some fantastic mugs and tea gadgets, of which I am sure you will approve! Finally, I’d like to thank and give a big shout out to the wonderful Shaherazad, creator of 18 Hour Heels, for the comfortable, shiny, sparkly and downright gorgeous shoes I’ve been wearing again and again on my adventures – much more to come on those, soon, too. Until next then, hope you’re enjoying a lovely, relaxing cuppa and having a tea break of your own. Happy New Year! I hope you enjoyed lots of lovely teas over the festive season and shared and received some fabulous tea gifts? I have been thoroughly spoiled this time around, with some fabulous teas, teapots and mugs. I’ll be sharing some pictures of them over the coming weeks, along with reviews of all the fabulous teas. I received a very lovely New Year’s gift this week – an award as one of Feedspot’s Top 100 Tea Bloggers! Delighted to see that a number of my fabulous tea friends are on the list, too, so do check it out. 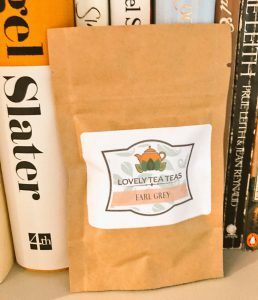 I also received some sample teas from the downright lovely people at Lovely Tea Teas – a selection of favourites, such as Earl Grey and an Irish Breakfast black tea. 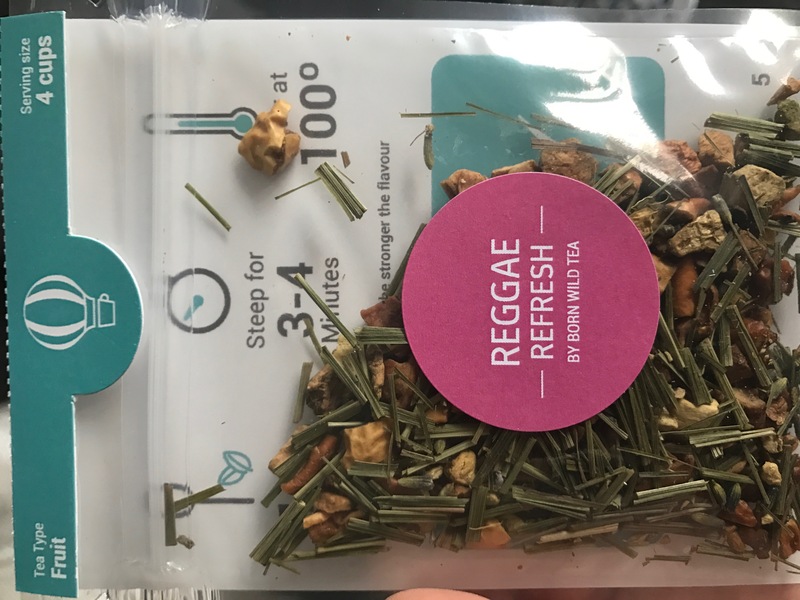 I was impressed with the refreshing Irish Breakfast tea to start my working day in my first weeks back at work after the festive holidays; and have been soothed by the relaxing, delicate Earl Grey as I nursed the lurgy this week. The branding and packaging is pretty (a lovely fit with the style of Tea with Rachael, in fact!) and reflects the genuine love of tea that the Lovely Tea Teas team has. Genuinely lovely teas from the very appropriately named Lovely Tea Teas company! I do recommend checking out their rather comprehensive selection of loose leaf teas – there are some exciting and interesting blends there as well as the traditional favourites, so something to suits all tastes. I’ve also embarked upon some new tea adventures for January with Tea Tourist, the new tea subscription box that is passionate about tea and work with their pick of the best Tea Partners from across the UK to share their fantastic tea blends and support like minded tea businesses. How wonderful to begin new tea adventures for the new year from the comfort of my own home! Until next time, I hope this inspires some tea adventures of your own.